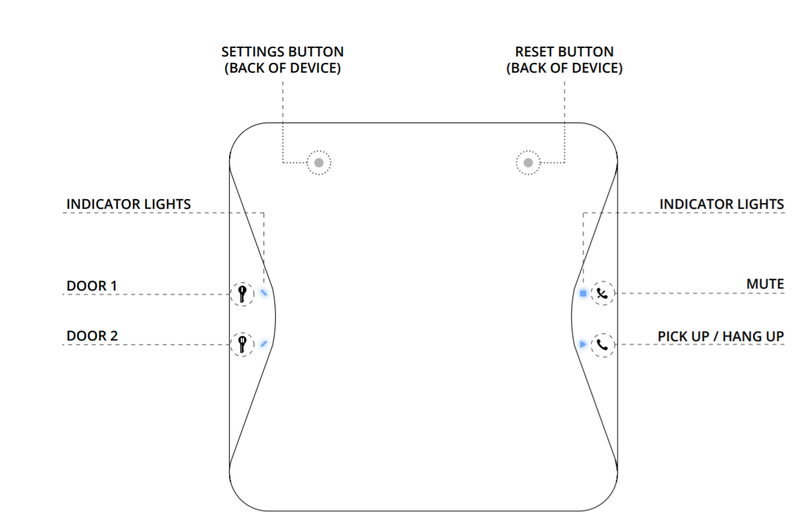 Your Klevio device has four buttons on the front and two on the back. 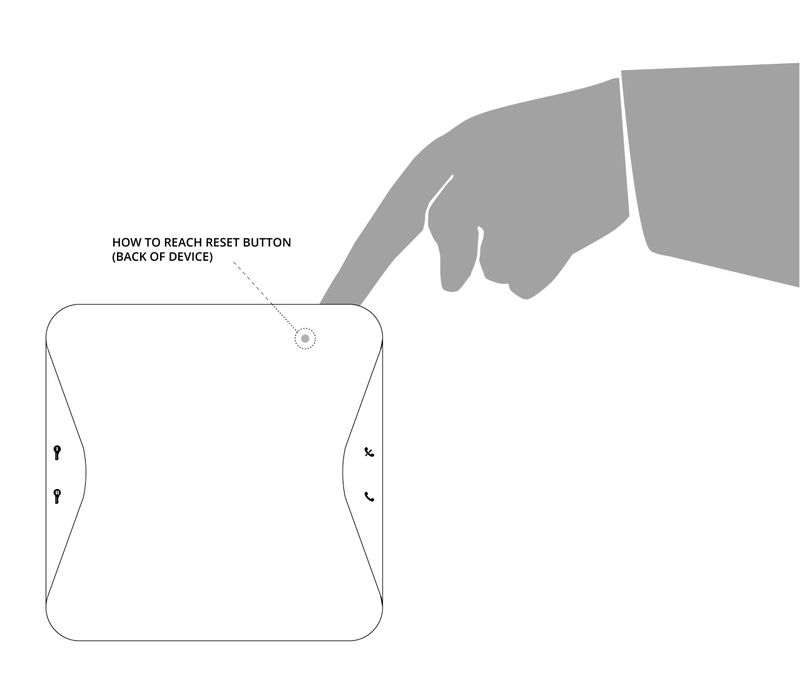 The below diagram shows what each button does. The device comes equipped with a proximity sensor, so when your hand is near to the device the buttons will light up, ready to press. When you move away the lights will go out. Wave in front of the device to check that it is switched on. Back of the device: There are two buttons on the back of the device which you shouldn’t need to access frequently if at all. Reset button: This can be found on the back of device in the top right hand corner, we may need to use if as part of troubleshooting. 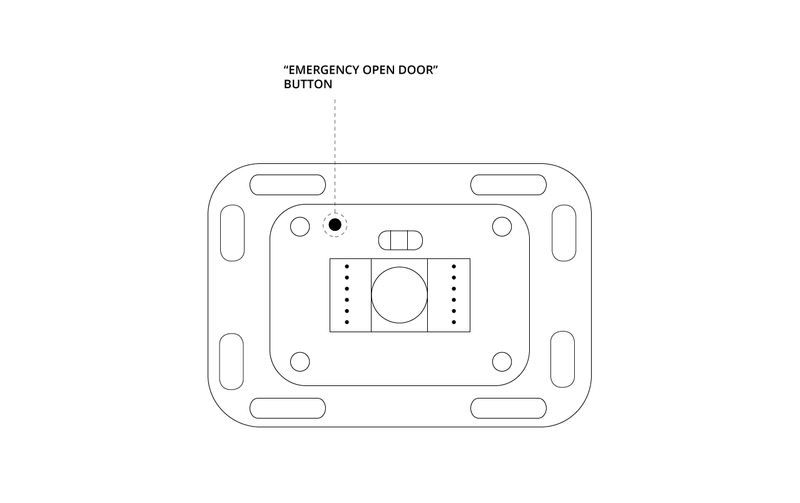 Door Open Button: There is a small round button behind the device which can be used to open the communal door in the case that the device becomes unresponsive or starts acting strangely. 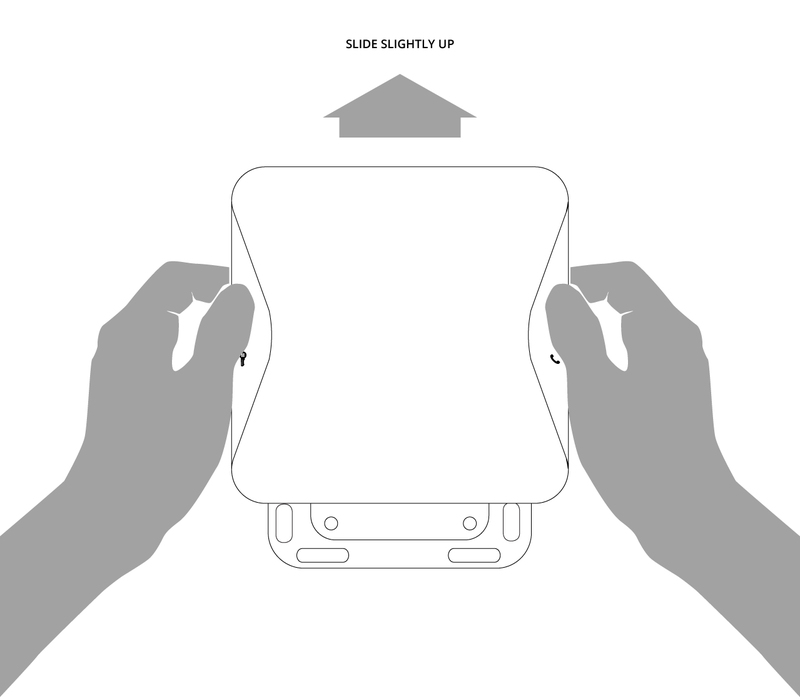 It can be accessed by unmounting the device with an upward sliding motion. Your device needs to be plugged in, connected to the WiFi/4G and switched on at all times to work. When your device is inactive, all the indicator lights are off. Please don’t assume that because your device is in its inactive state, it’s broken. It only comes to life when you wave in front of it or when someone rings your doorbell, so as long as the device is switched on and has power, it will work properly.